Cosmo Anti Spam make use of cloud technology to provide reliable spam filtering service to SME at an affordable price. With Cosmo Anti Spam Gateway, protecting against inbound malware, virus and spam attacks, ensures your business productivity isn’t impacted by email attacks. 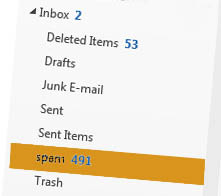 You will save the time every morning to go through and separating legitimate email from ton of spams. Our powerful and customizable policies enable further enhancement of filtering accuracy. Our system also offload CPU-intensive tasks to the cloud to reduce the processing load on the server and to ensure that threats never reach the server perimeter.